Home » German citizens in 16th century fashion. Knight in full armor 1530. 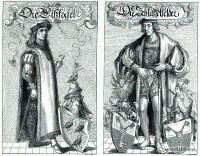 German citizens in 16th century fashion. Knight in full armor 1530. Renaissance period. Town man in full armor with a shield, armor and lance. High riding boots and a helmet adorned with large feathers. A waistcoat with slashed sleeves and tight leggings. The woman is wearing the fashions of the early German Renaissance. Puffy skirt with high waist, above the Cotehardie, with a large train. Upper skirt, the Suckenie and petticoat. 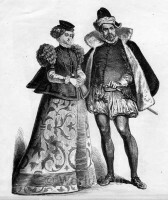 German Costume and Heraldic Art, 16th century. 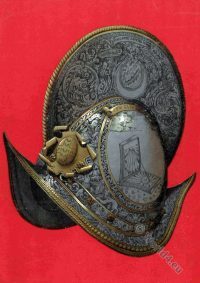 Renaissance Helmet of Alfonso Piccololomini di Firenze. 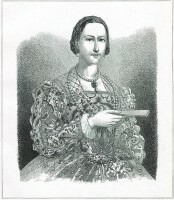 Renaissance costume of an Italian lady. 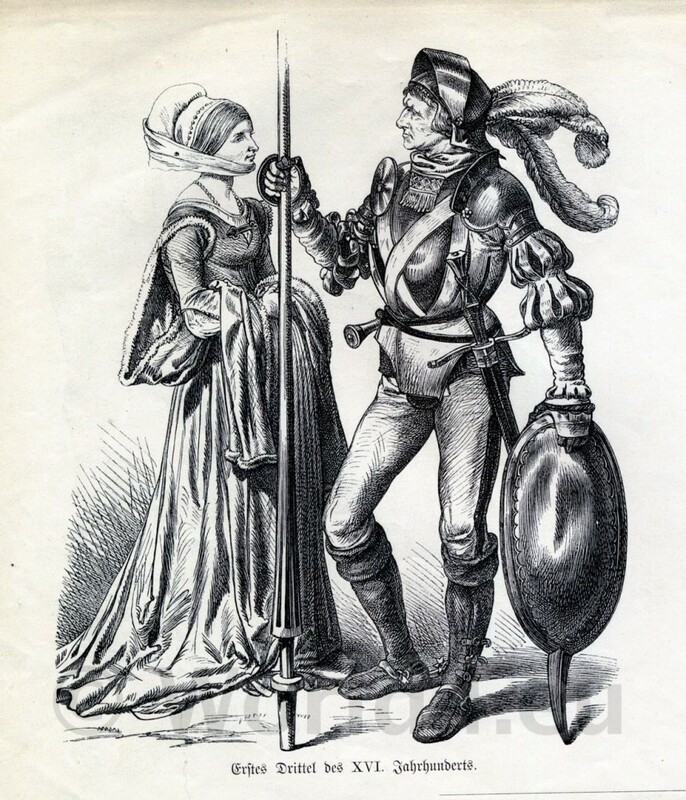 This entry was posted in 1530, 16th Century, Germany, Headdresses, Military, Renaissance and tagged Cotehardie, Knighthood, Renaissance fashion era on 4/16/13 by world4.